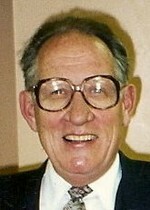 THOMAS P EMRICH age 75. Dear father of Thomas, Celeste Emrich-Ely of FL, Theodore and the late Timothy; grandfather of Joel Thomas, Jenna Rachel, Jason Christopher, Amber Lynn and Taryn; great-grandfather of 7; brother of Edward (Margaret), Bernard (Barbara), Patrick (Patricia) and the late Daniel (survived by Donna); son of the late Paul and Susan; friend of Ann “Nancy” Nugent. USMC Korean War Veteran. Mass of Christian burial 10AM TUESDAY at St. Patrick Church 3600 Bridge Ave. Cleveland 44113. The family will receive friends 3-8PM MONDAY AT BODNAR-MAHONEY FUNERAL HOME 3929 LORAIN AVE CLEVELAND. Interment Calvary Cemetery. Contributions may be made to Malachi House 2810 Clinton Ave. Cleveland 44113 or St. Patrick Church Restoration Fund.